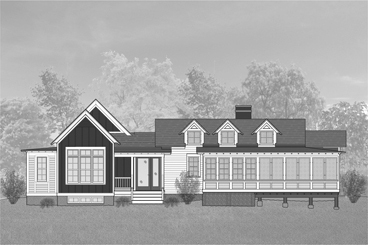 This early 20th century cottage on Bar Lake will undergo both exterior and interior renovations and gain new space through an addition. Located on a heavily wooded site just walking distance from Lake Michigan, the cottage’s addition was configured to preserve as many mature trees as possible while staying within setback restrictions. The many windows throughout the addition take advantage of the views. Design plans call for a new first floor master bedroom suite, with full bath and walk-in closet. 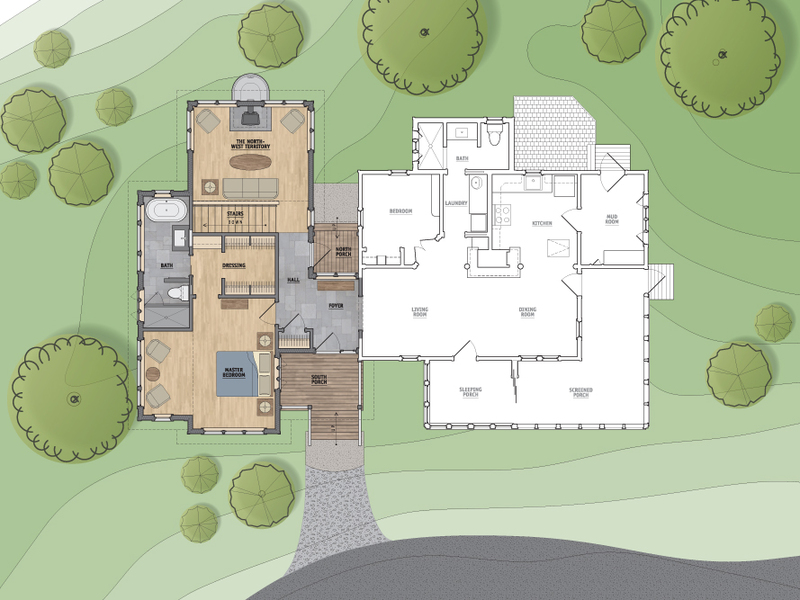 The first floor also includes a new entry porch, foyer, coat closet and sitting room with wood burning stove. The lower level has an office, storage room and mechanical area. The addition will incorporate dutch lap siding, trim and eave detailing to match existing materials and profiles. For interest and contrast, the addition will also incorporate a vertical board and batten siding. The traditional white cottage will feature a three-color palette when done. 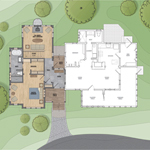 The interior will include natural clear white pine trim and doors with a combination of tile and hardwood flooring. A new energy efficient heating system will replace the existing electric radiant heat throughout the cottage.